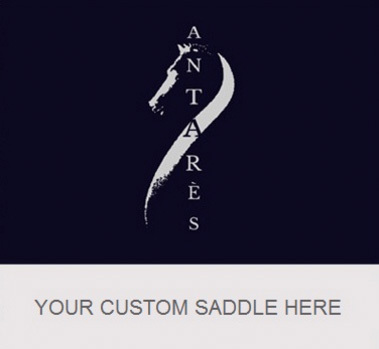 2016 Antarès jumping saddle in EXCELLENT condition. Dark brown calf leather flaps, complemented full grain leather reinforcements are the bottom of the flap - to allow for durability. 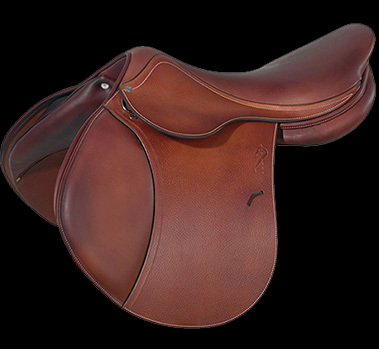 The saddle has two small holes on the back of the cantle from a previous nameplate, and shows better wear than would be expected on a saddle from that year. 18" Semi deep seat with regular twist measures true to size. Flap 4N measures 15" from the top of the stirrup bar to the bottom of the flap. Flap width measures 13.75" across at its widest point. Tree measures 4.75" from dot-to-dot under the pommel. Medium-wide tree, stamped AO1. Panels are suited for a horse somewhat broad over the shoulders. 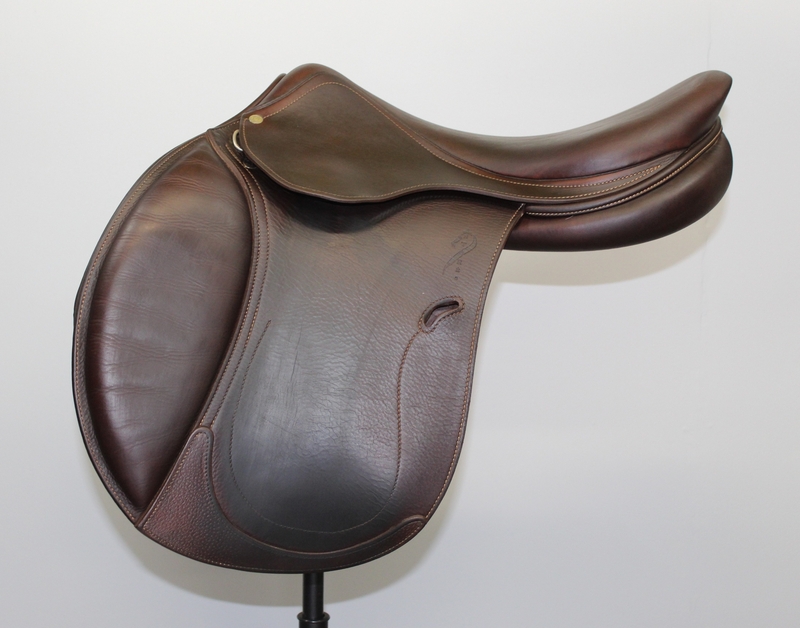 To take this saddle on trial, simply click ADD TO CART, PROCEED TO CHECKOUT, and purchase. Your trial will begin the day you receive your saddle. Please refer to our Trial and Return Policy page for details. Thank you!